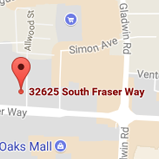 Serving the Fraser Valley - Dr. Andrew Woo is your orthodontic specialist, offering braces for children, teens, and adults. An attractive smile is a wonderful asset for people in all stages of life. It contributes to self-esteem, self-confidence and self-image-important qualities at every age. Dr. Andrew Woo has years of experience utilizing today's latest orthodontic advances in order to provide you with the most comfortable and efficient treatment possible. We'll help you achieve a great smile that will exceed your expectations! Our friendly staff strives to maintain open communication and is always available to answer any questions and address any concerns you may have. We know that a well informed patient is a happy patient! Contact our office to schedule your complimentary consultation with Dr. Woo and learn about all the treatment options we offer. We'll help you choose the right one for your specific goals and needs. Call today!